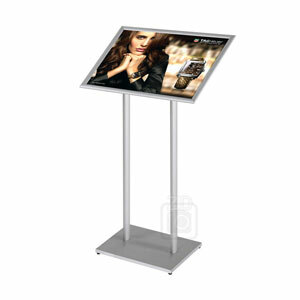 Info Boards are attractive portable display solutions for sign, poster and menu presentation. 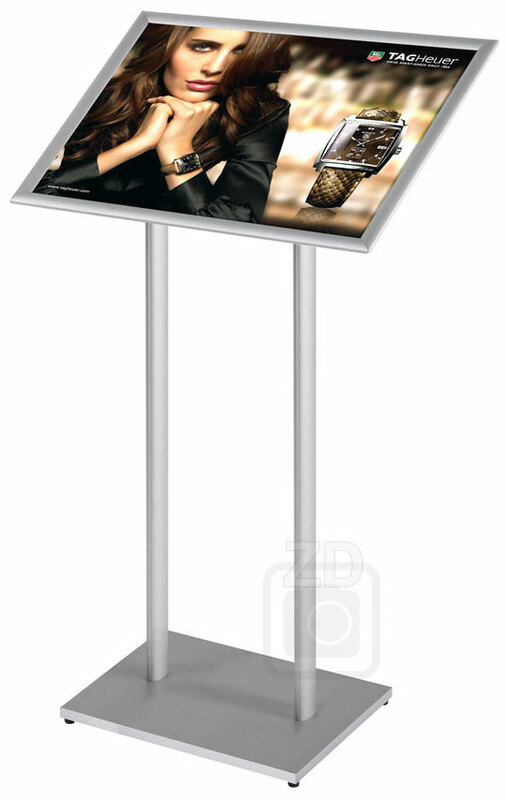 All Info Board display stands feature angled aluminum poles with silver laminate bases. All information stands provide great stability. 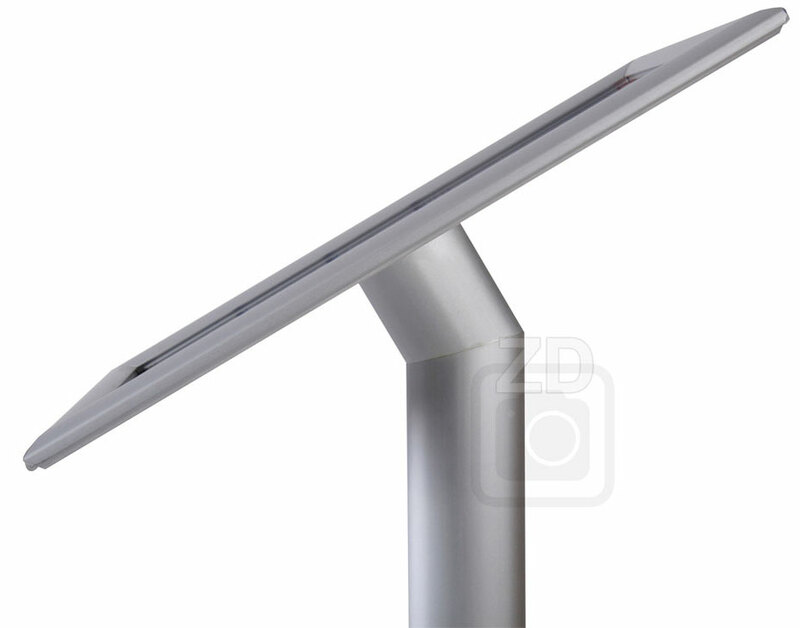 The upper part of the stand is a Poster Frame - Classic - an aluminum snap frame. 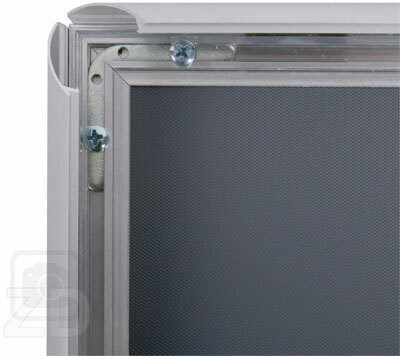 The Poster Frame - Classic includes a UV stabilized non-glare film for poster protection. Sign stand Info Board is ideal as a floor display in public buildings, restaurants, hotels, museums, car dealerships as well as an exhibition display at trade shows and presentation centres. Display stand made of sturdy construction. 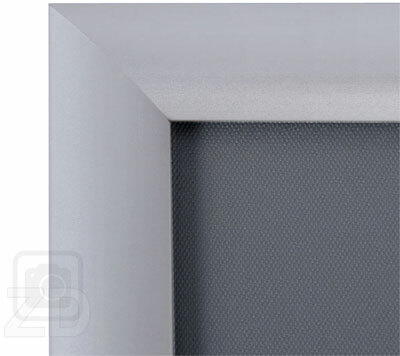 Consists of angled aluminum pole (2'' wide, 44'' tall), laminated wood base plate and an Poster Frame - Classic - an aluminum snap frame. 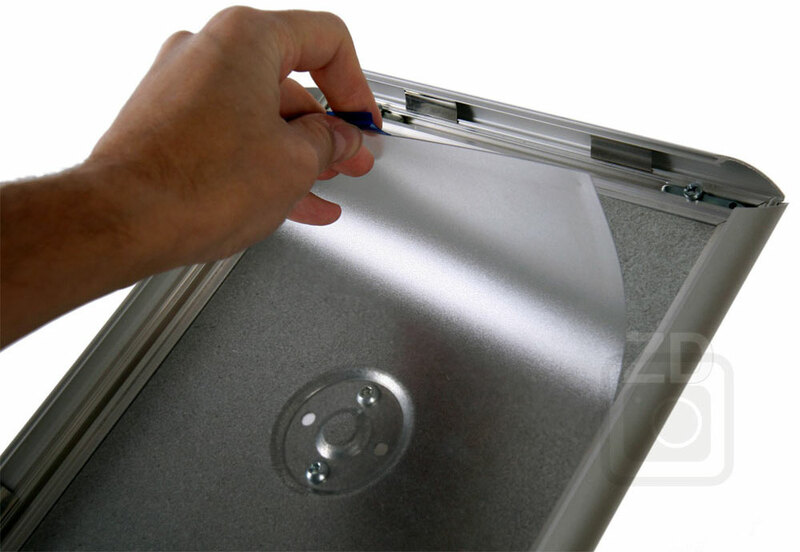 The poster snap frame is made for poster size 22'' x 17''. It also can hold two pages of 11'' x 17'' or four pages of 11'' x 8.5''. Reliable and long-lasting. Outside dimensions: 23.25" x 18.25"